Leader: God, you call us to worship on high holy days – praying during Lent, remembering the stories of Maundy Thursday and Good Friday, singing “Alleluia!” on Easter, wearing red on Pentecost, pondering all the ways we know you on Trinity Sunday. People: We worship you on these big days. Leader: Now you call us to settle into Ordinary Time, to study your Word together, to live in your ways every day of our lives and to grow as your disciples. People: We worship you today and in all the ordinary times of our lives. F I suspect this passage is understood differently by children in countries with kings or queens than in those with other kinds of leaders. Children in countries without royal leaders know of kings mainly from fairy tales and other stories. They have trouble jumping from talk about kings to talking about all governmental leaders. And all children have trouble understanding the prophet vs king debate going on here. That may lead me to choose the Genesis reading for the day. If you will explore the Samuel text, probably the best you can do for the children is to read it dramatically so that the older children catch the basics of debate. Understanding it will come later. F Invite all worshipers to take part in reading this scriptural conversation. You will need a Samuel reader and a God reader reading from the front, and a narrator (probably the liturgist) reading from the lectern. The entire congregation reads the part of the people. Everyone will need printed scripts. The People: You are old and your sons do not follow in your ways; appoint for us, then, a king to govern us, like other nations. The Lord: (The Lord reader faces Samuel) Listen to the voice of the people in all that they say to you; for they have not rejected you, but they have rejected me from being king over them. Just as they have done to me, from the day I brought them up out of Egypt to this day, forsaking me and serving other gods, so also they are doing to you. Now then, listen to their voice; only—you shall solemnly warn them, and show them the ways of the king who shall reign over them. Samuel: These will be the ways of the king who will reign over you: he will take your sons and appoint them to his chariots and to be his horsemen, and to run before his chariots; (and he will appoint for himself commanders of thousands and commanders of fifties, and some to plow his ground and to reap his harvest, and to make his implements of war and the equipment of his chariots. He will take your daughters to be perfumers and cooks and bakers. He will take the best of your fields and vineyards and olive orchards and give them to his courtiers.) He will take one-tenth of your grain and of your vineyards and give it to his officers and his courtiers. He will take your male and female slaves, and the best of your cattle and donkeys, and put them to his work. He will take one-tenth of your flocks, and you shall be his slaves. And in that day you will cry out because of your king, whom you have chosen for yourselves; but the Lord will not answer you in that day. The People: No! but we are determined to have a king over us, so that we also may be like other nations, and that our king may govern us and go out before us and fight our battles. Samuel: Come, let us go to Gilgal and there renew the kingship. F Pray for all kinds of leaders. Invite worshipers to name kinds of leaders. Remember to include team captains, scout troop leaders, etc. Also remember that summer activities offer children a variety of unique leadership opportunities. Then, offer prayers for all of these leaders. Name people currently serving in government and pray for them. If your congregation regularly hears prayer concerns from worshipers during worship, make this list at that time. You might even invite the children forward then to have the discussion about leaders and identify prayers for them. If you do, begin the congregation’s prayers with the prayers about leaders. F If you don’t want to dig into the politics of leadership (and some of us in the US already have had too much of the current presidential campaign), here is yet another possibility. 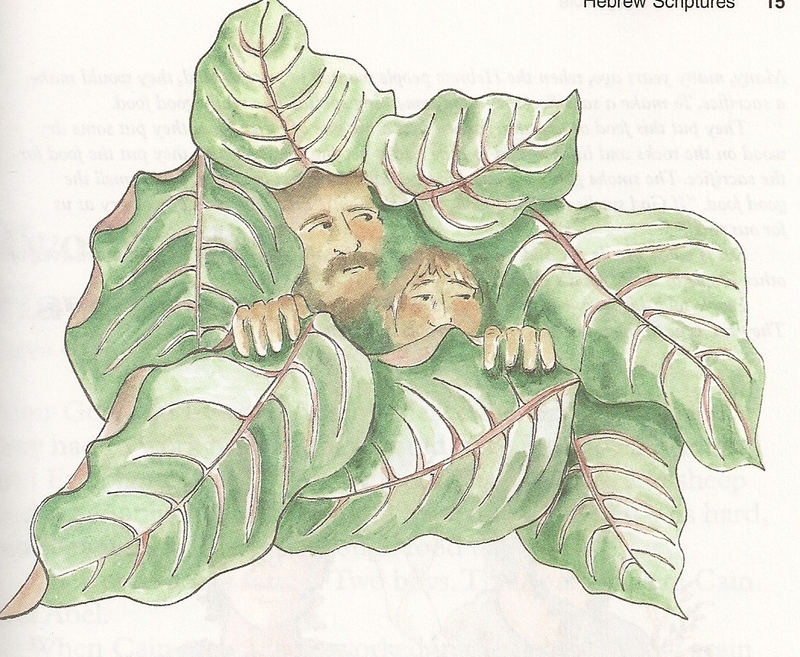 Create a two week series on Samuel as a precursor to the summer long series on King David. Start it by exploring the nighttime call of Samuel (Year B - Second Sunday after Epiphany). The next week you are set to explore the anointing of David as a story about Samuel’s courage in risking Saul’s wrath and his willingness to see potential kings from God’s point of view. Before reading this psalm together, point out that it is identified as a psalm prayed by King David. Invite worshipers to imagine themselves praying this prayer as a king, queen or other leader. 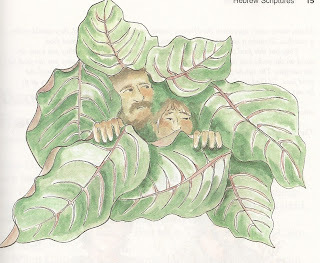 F Most Adam and Eve art understandably emphasizes their nakedness. Unfortunately that leads to giggles. To get past the giggles and talk about how Adam and Eve felt, show this picture after reading the story. Identify the pair’s feelings knowing what they had done. They felt guilty, scared, ashamed, embarrassed. They felt for the first time like hiding from God. 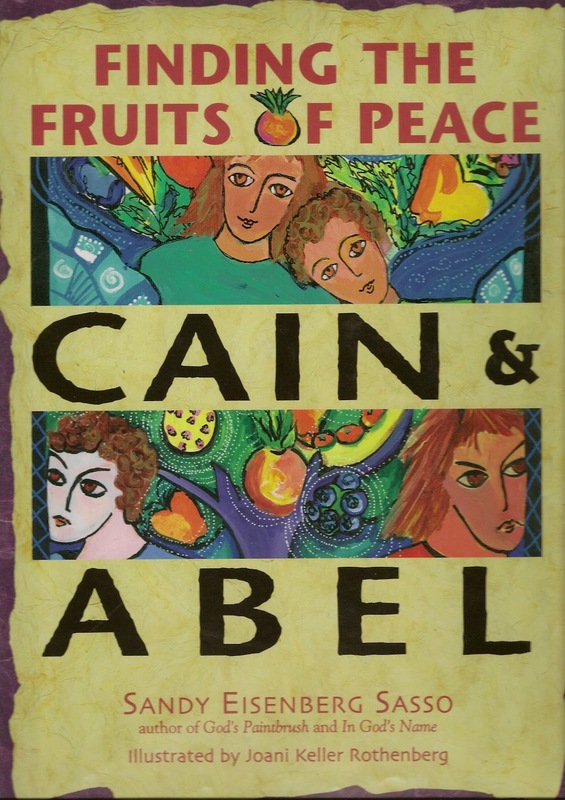 F Cain and Abel: Finding the Fruits of Peace, by Sandy Eisenberg Sasso, is a wonderful retelling of the story of the problems between the first brothers that led to murder. It raises the same issues of bad choices and the divisions between God and people that result from them that the apple story does. But, the main characters are brothers and everyone keeps their clothes on. This makes it a good addition to worship built around the Fall. (FYI this story does not appear at all in the RCL. Who knows why!) It takes a full 10 minutes to read this insight filled book. At the beginning of summer it might be a good sermon followed by comments about forgiveness from the New Testament. Note for those who use projection: A seminary professor said in a workshop I attended that she often scans the art from picture books into Powerpoints to use in reading the story to groups. She always buys a copy of the book and never ever lends her scanned pictures to anyone, no matter how they beg. The reasoning is that just as one can read a story to others and show the pictures without infringing on copyrights, one can show the pictures to a larger group by projecting the art. Sharing the scanned art with others to use in other situations would however be infringing on copyrights. 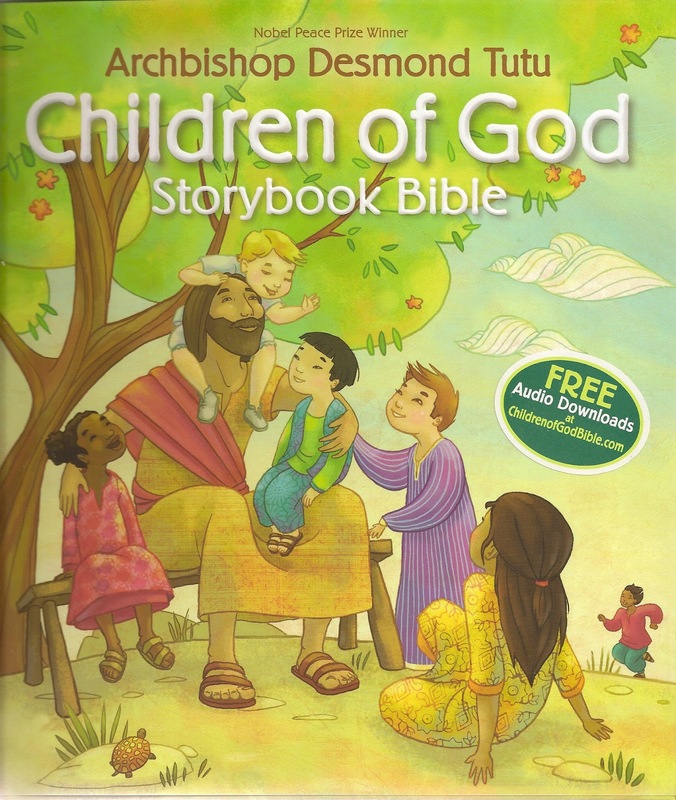 F The Contemporary English Version of the Bible (CEV) offers the easiest translation for children to follow while preserving a sense of the majestic poetry. Verses 1 -4 read…. I call out to you, Lord. as I beg for mercy? no one could last long. and so we will worship you. F Before reading this psalm, make a communal list of all kinds of sin – both personal and corporate. You might even have someone write them on a big sheet of poster paper in black marker. Note that we all have experience with most of them. Then, invite worshipers to read the psalm with sinners everywhere. Rather than ask children on the steps to make this list, call on worshipers of all ages. If a child (or any worshiper) launches into a potentially embarrassing story about “something bad someone did,” be ready to interrupt and help the child turn it into a statement about what was wrong about the deed rather than telling the details and naming the names. F Most children have very little sense of their own mortality. They may say that they understand that everyone eventually dies, but for most of them that day is somewhere off in a hazy future. In the short term they see themselves not wasting away, but growing and getting stronger. About all they can take from these verses is the promise that God loves us and cares for us even after we die. We don’t have to worry. This classic comes in several different covers. This is the one on my shelf at the moment. 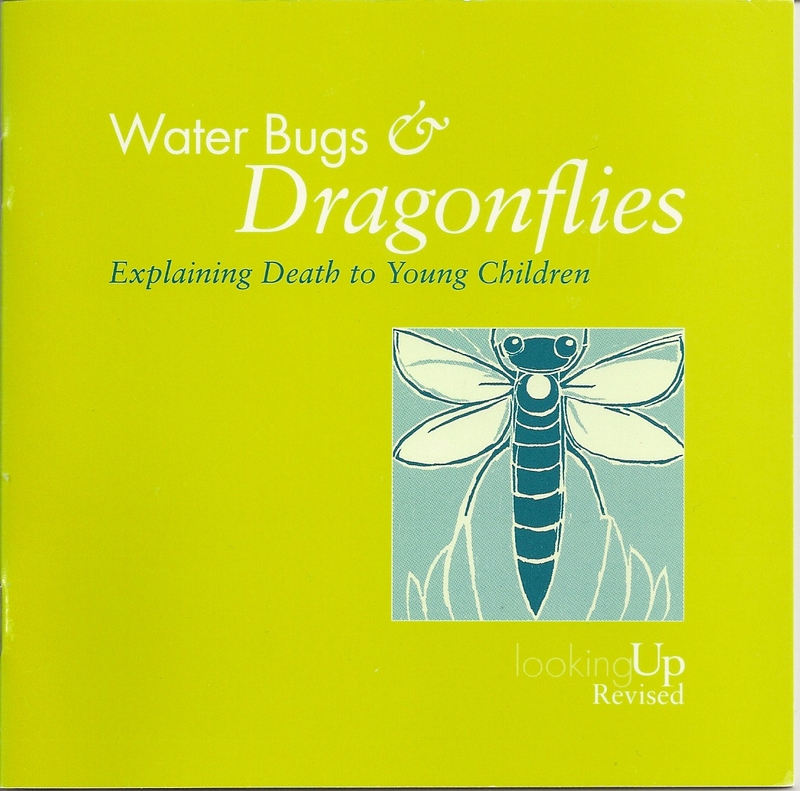 F If you are going to talk about life beyond death, the classic Water Bugs & Dragonflies: Explaining Death to Young Children, by Doris Stickney, describes how water bugs live happily under the water, until they climb the stalk of the lily pad and disappear. 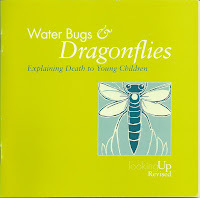 Once above the water they become dragonflies. We follow one of the bugs up the stalk and watch as he tries to go back, but cannot. He realizes there is no way the bugs could recognize him. It is a way to ponder the good mystery that waits us when we die. The story in the book takes a little over 4 minutes to read aloud, but I believe could be told more simply and quickly in your own words. F I collect “used to thinks,” things I and other people used to think about all sorts of things, but now think differently. The demons discussed in this story are an example. People used to think that diseases and mental illnesses were caused by demons, evil critters that took over bodies or minds. Today we think germs cause diseases and are just beginning to figure out some of what causes mental illnesses. People used to think these demons could make you do evil deeds. (“The Devil made me do it.”) Today we think that we make our own choices. We have no one but ourselves to blame when we do mean, selfish, terrible deeds. F Children, who are so dependent on the adults in their families, can be frightened by Jesus’ rejection of his mother and brothers. They need to hear that Jesus wasn’t so much rejecting his biological family as he was including all God’s people in his family. 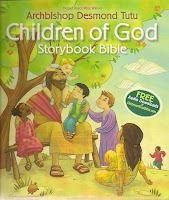 When they follow Jesus’ example, children find themselves in a large family of faith. F If there is a baptism, read and comment on the questions in which the congregation takes on responsibility of raising the child to know Jesus with the hope that the child will grow into a disciple. Emphasize the ways baptism makes us part of Jesus’ one big family. One church has a baptism song which the children sing following each baptism to welcome the baby to the family. They sit on the floor near the font where they can see easily and sing from there with adult help. The children practice the song occasionally in church school and talk about what it means to sing it to a newly baptized baby. They take this as a sacred responsibility. 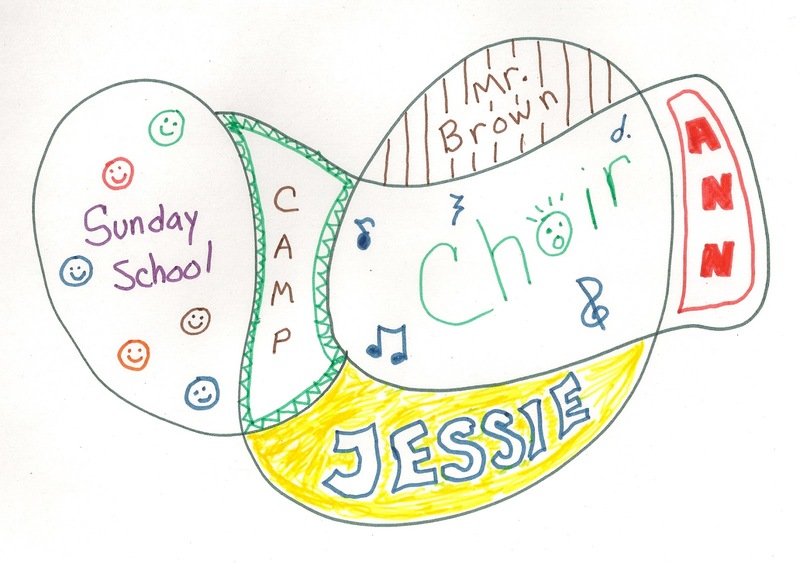 F Invite worshipers of all ages to create scribble prayers for the church family. They start by making a large loopy scribble. In each space, write the name of a person or group who is part of your church family. With crayons or pens, decorate each section as you talk to God about that person or group. Pray for the church family. Love your blog. Might I make a suggestion about the first idea - my understanding of "Ordinary Time" is not that this time is ordinary in the sense of "normal" but that the green Sundays are ordered. These weeks are numbered - the __ Sunday after Pentecost - in order. Aha! Russell thank you for proving for me today the old "we learn something new everyday" adage. As soon as I read your comment, I recognized ordinal in ordinary and knew you were putting me on the right track. From there I googled Ordinary Time and learned even more - all of it interesting and enriching. I still think the sense of ordinary time as "everyday time" as opposed to festival time fits the season and may help us develop significant worship. Perhaps both definitions of ordinary time are true??? I guess we could say that, however, I try to say that life in God's kingdom is anything buy ordinary. Our gospel for this week is certainly anything but ordinary... The reading from 1 Samuel is about how God's people want to be ordinary people (we want a king just like everyone else). 2 Corinthians talks about doing things for the sake of the other and that's not all that ordinary in my life. I get where you're coming from, but I guess I'd want to push that a little bit by saying that this side of the resurrection changes the ordinary. I am deeply appreciative of your work and I have found your Forbid Them Not series such a great help each week in developing a message for the children. I preached on the 1 Samuel text this past Sunday using the theme "be careful what you wish for." I struggled about how to interepret this to the children and I'm grateful for a suggestion my wife made when I posed my dilemma to her. So I thought I would pass along her idea to you. I told Eric Carle's story "The Mixed Up Chameleon." The children (and adults, too!) really responded to it and it worked well with the theme. Thanks again for all your wondeful ideas!